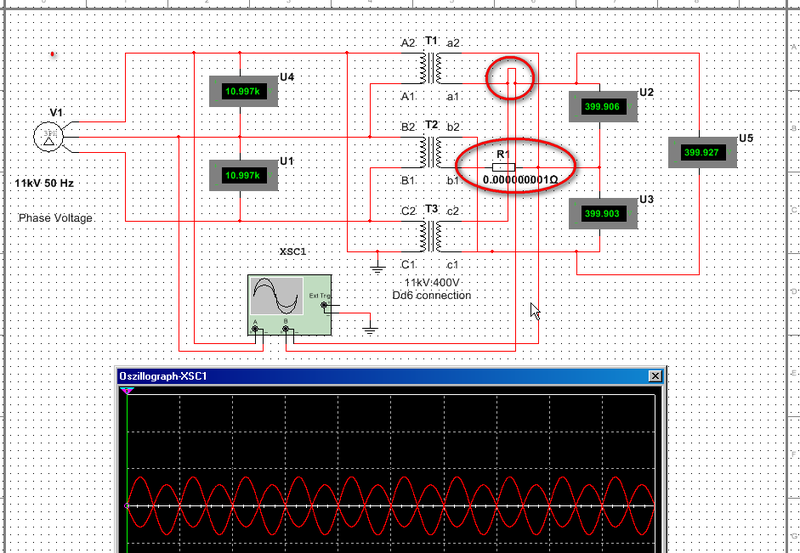 Attached is the circuit and screen shot of the error. try to put at least one small resistor (i,.e. 1 microOhm) in one of your secondary coil winding outputs. Here is a screenshot of the simulation. I added the connection between a1 and U2 and added the resistor to the secondary output b1. I think the connection a1 to U2 is necessary to measure any voltage with U2 and U5 in the Dd6 configuration.